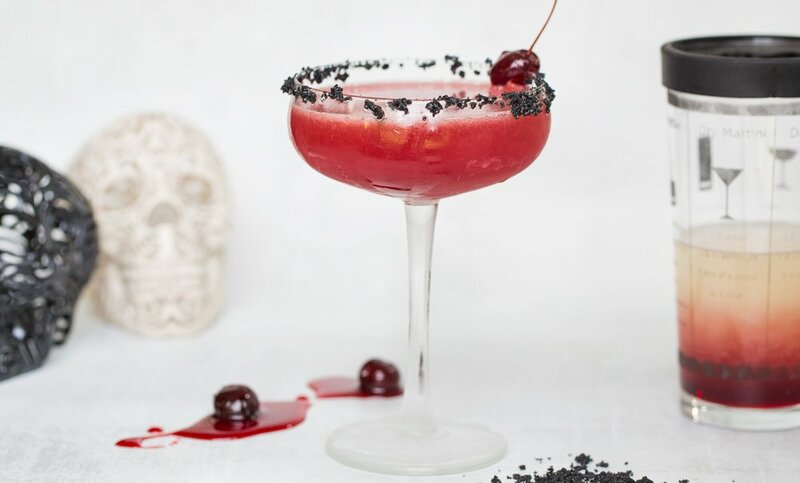 The pizazz in this margarita comes from Amarena cherries and a dash of their syrup. Trader Joes sells these at a great price. Use a dash of the syrup to sweeten the margarita — if you like it sweet, use more. The syrup also sinks beautifully into the cocktail if you prefer to serve a stirred (not shaken) version. A cherry looks cute on the rim of the glass, or plop inside. 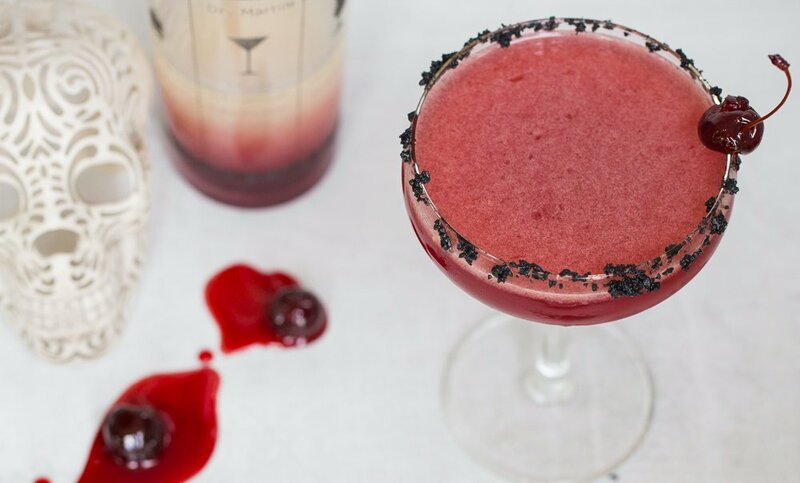 We love the smoky taste of Mezcal tequila in this cocktail, but you can choose another if you wish. Black salt is fun to use for contrast! makes 1 cocktail, or many! Prepare a cocktail glass by running a lime around the rim and coating it with the black salt. Plop all the ingredients (minus the garnish) into a cocktail shaker with plenty of ice and shake, shake, shake your moneymaker. The more you shake, the yummier the drink. Using the strainer, pour the cocktail into the prepared glass.